The Breastfeeding Cafe grew from the needs of nursing mothers, including local mom Susan Johnson who wished for a welcoming spirit and place while nursing her own daughter in the 90s. A Utah Breastfeeding Coalition member, La Leche League Leader and International Board Certified Lactation Consultant, Susan envisioned a gathering place in which nursing mothers and their children would be welcomed in the community. An annual Coalition event, The Breastfeeding Cafe is possible thanks to the generosity and nurturing spirit of volunteers from all over the valley. Together with our sponsors and visitors we look forward to a time when every day is one of acceptance for nursing families. Thank you for celebrating the everyday importance of breastfeeding! I have volunteered two years ago while nursing my toddler and now am nursing my daughter. I am looking forward to attending this year. 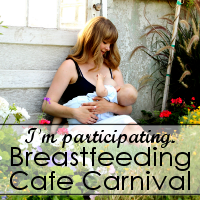 The website nor the calendar states where the breastfeeding cafe will be, i.e. the location, or at least it is not easy to identify. I could not find it. Otherwise, looks good. Thanks. That last comment was because I was under ‘Events’. I found the location under ‘Home’. I would still suggest placing it on the calendar. Thanks. Thanks for the suggestion, Reta. We’ve added our location to both the Events Page and the Events Calendar — we do want everyone to find the Breastfeeding Cafe! Hope to see you there as well! My name is Isabela and I am a student at Parkway South HS. As part of a web design class research assignment, I’d like to report a broken link I encountered on breastfeedingcafe.wordpress.com — it’s giving me a non existing page. I'd like to volunteer my time / expertise / enthusiasm!